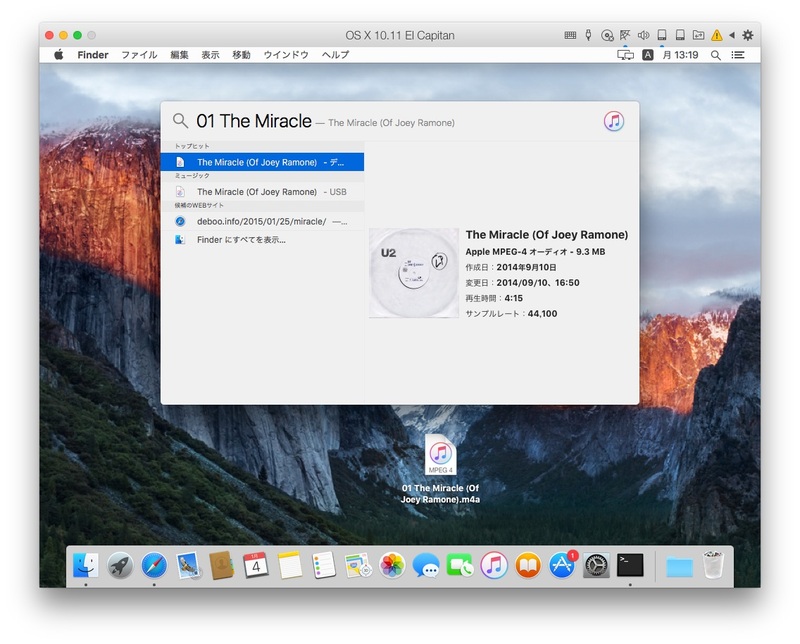 OS X El Capitan 10.11.2のSpotlightには一部のファイルが検索できない不具合が存在するもよう。 | AAPL Ch. The second bug is much worse: Spotlight simply fails to find the file at all, as shown below. Whether by partial or full name. The volume is not excluded and has been indexed. Here it’s pathetic: a Finder window with a folder showing the file is open right on the screen, even as Spotlight claims the file does not exist.